Free Download: Zarif "Let Me Back"
Zarif is all about the fraicheness! Check out her brand-new single, "Let Me Back." This is some good stuff. Beyonce thinks so too. She invited Zarif to be her support act on her forthcoming U.K. tour. Not too shabby for this emerging British talent. Have a listen. Read more about Zarif here. WoW! 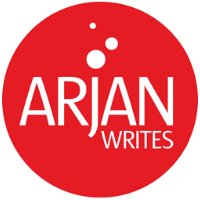 great pick Arjan! Love love love her! Her song "Box of Secrets" is fantastic as is "Over"